So have caught a bunch this year setting a double snare one left and right of a split in the trail. Not sure if they are seeing one and keeping an eye on it while walking around it or just law of averages. 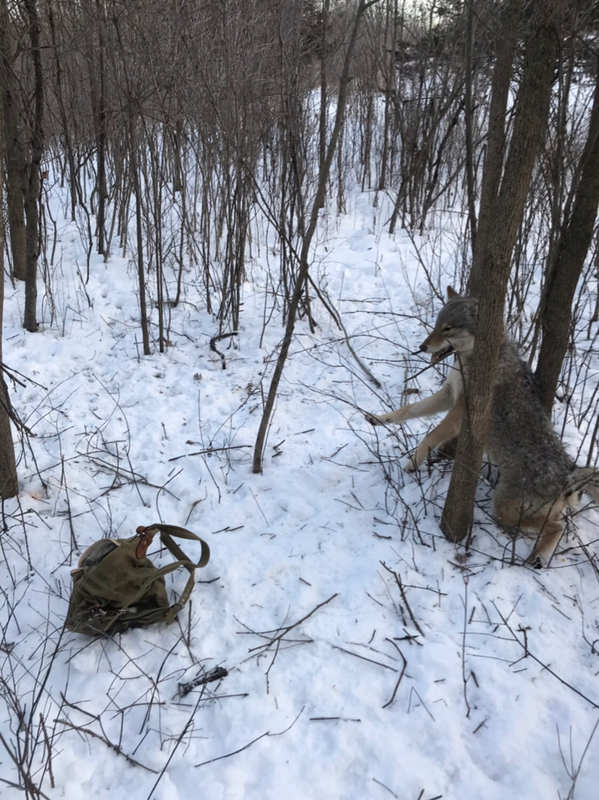 On my sets where the yotes have walked down it then bailed at the snare I have been resetting like this where possible and having good luck. In the pic had a snare hanging left and right of the tree.